Seafair is a massive multi-weekend summer festival in Seattle. 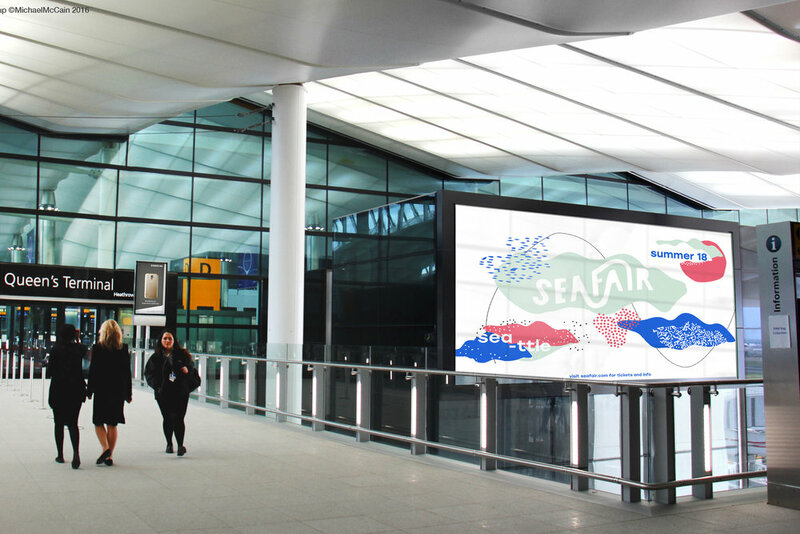 A 69 year tradition and still running, Seafair has established itself and its brand in the Seattle community. When approaching the rebrand, it was immediately clear to me that the new brand needed to be visually appealing to adults and those that enjoy the Americana aspect of the festival, as well as fun and interesting for kids and families. 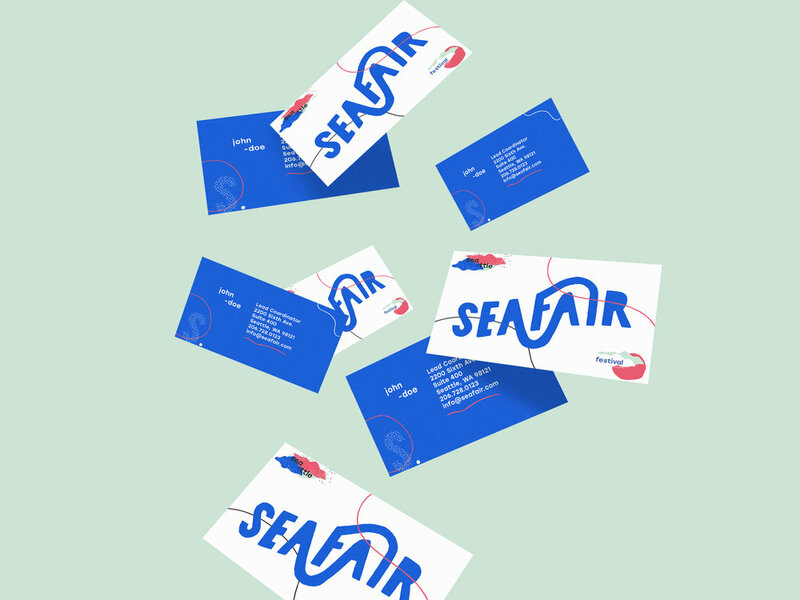 The first problems I acknowledged with the current Seafair logo, was the lack of personality and its dated feel. Finding a way to incorporate a more modern liberal language to the logotype that conveyed the whimsical fun of the event was my first goal in the process. Originally I wanted to focus on the feel of sea and air as the event has boat and ended up with a more subtle influence of waves and wind, leading me to the curved ligature logotype. After drawing that logotype on custom curved grids or free hand I realized it was still missing the whimsical liberal language I wanted, and I began exploring cutting the type of of paper by hand. While working on the logotype, visualizing the rest of the brand and its visual language was essential in the development of the identity. Creating assets that matched the hand-cut, hand-drawn feel of the brand helped create a strong visual identity. 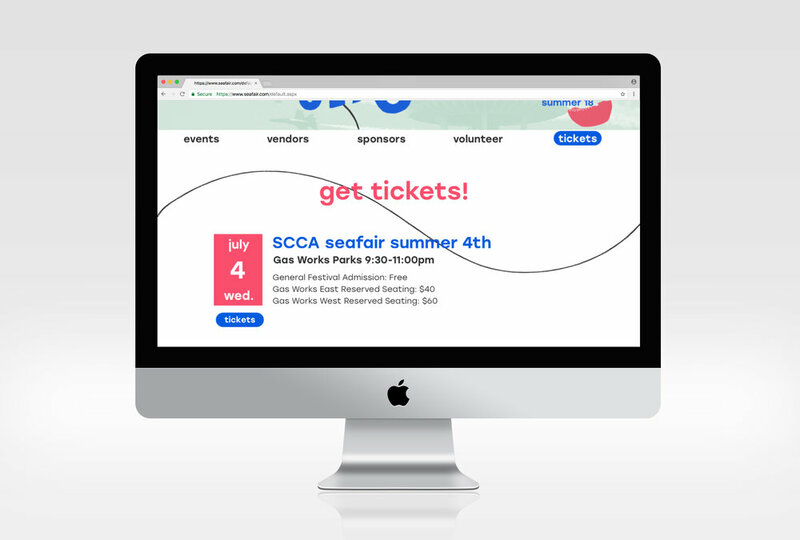 Doing customer research and identifying the audience for Seafair helped guide the color palette and style where the palette appeals to the traditional older crowd that appreciates the traditional Americana of the event, like their 4th of July fireworks show or the Blue Angels air show. However, the contemporary visual aspect of the assets and brand appeal to the more liberal modern Seattleite that appreciates modern art as well as the whimsical fun that also appeals to children. This project spanned over two courses, one focusing on branding and the web development and coding. I got to develop the visual brand from the ground up and apply that to merchandise and advertising then apply that to a new website. I researched the current website which was robust and redundant at time. I went through a curated the most important information and transformed the 23 current pages into a simple effective five page site that is easier to navigate. Using only HTML and CSS I then got to develop the responsive website from start to finish.